The British PM does not have a very strong hand, and Trump realizes when the person across the table doesn't have a strong hand you should basically shaft them even more than you ordinarily would, says historian Gerald Horne. 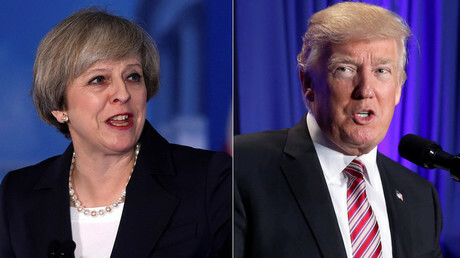 President Trump's first meeting with a foreign leader will take place on Friday when he hosts Britain's Prime Minister Theresa May. She started her US trip by addressing his fellow Republicans, in Philadelphia. RT: A year ago not many people expected Theresa May or Donald Trump to be in power. These are two very different personalities. What do you expect from their first meeting? 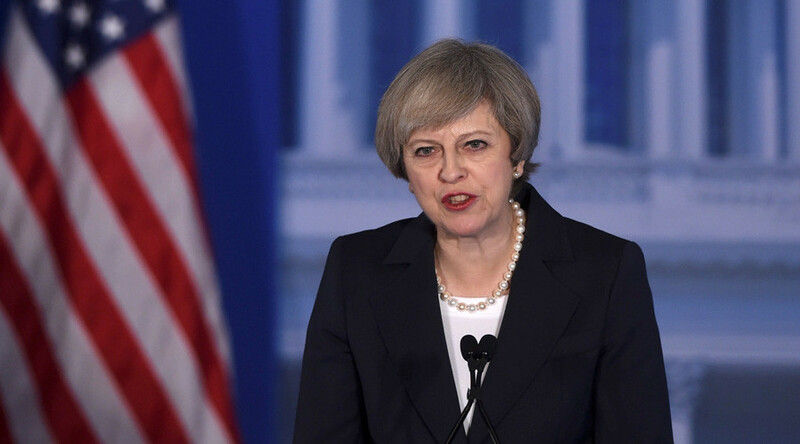 Gerald Horne: As they say in Washington, Theresa May is ‘off message’. That is to say that Donald Trump feels that NATO is obsolete. Theresa May wants to see a strengthened NATO with continued US leadership. What this speaks is how the once mighty British Empire has fallen. That is to say with Brexit, Britain is basically styling itself as a bargain basement shopping opportunity for transnational corporations, a Singapore across the English Channel from France. At the same time, you have even close allies - like Dublin, for example - thirsting to take away the banking interests from the City of London, and it will be joined in that adventure by Amsterdam, by Frankfurt, even by Warsaw and Paris. So, Theresa May does not have a very strong hand, and I think Donald J. Trump is the kind of negotiator who realizes when the person across the table from you does not have a strong hand that you should basically shaft them even more than you would ordinarily. RT: Trump wants to mend relations with Russia. But, Theresa May warned Trump to beware of Putin. Do you think she would prefer not to see a Putin-Trump alliance emerge? GH: Clearly, because if Washington improves relations with Moscow, that would tend to nullify, if not void the British Trident submarines and the entire British military, which is directed, supposedly, toward containing Moscow. This would be a blow to the military-industrial complex of Great Britain. It would be more difficult for them to take tax dollars for their own narrow purposes. And so Theresa May wants to see a strengthened NATO with an anti-Moscow, anti-Putin focus. But that does not seem to be in the cards at the moment. Theresa May has said ‘Brexit means Brexit’ and she made that very clear in her speech last week that she intends to take the United Kingdom not only out of the EU but out of the single market. On that basis…it has got a logic to it that now she is looking for other partners. What she's got to make sure she doesn’t do is to be seen to be creating a transatlantic axis against the EU. That’s one of the dangers with some of the statements that President Trump has made about his attitude toward the EU. - Glyn Ford, executive director of Polint, to RT. RT: Theresa May has welcomed the chance to strike a trade deal with the US. But as EU officials have pointed out that cannot happen until the Brexit process is over. Do you think her hopes are justified? GH: Not at all. Keep in mind that only recently after about seven years Canada just signed a trade deal with the EU. Canada did not have the disadvantage of trying to withdraw from the EU while trying to sign a deal with Brussels. Recall that one province in Belgium almost scuppered that deal all together. I think it would be necessary for Britain to withdraw from the EU, which would take many years, and then it would take even more years after that for London to negotiate a trade deal with Washington. Basically, I think she is dreaming.